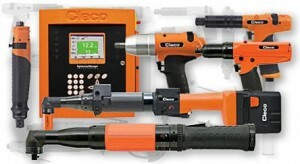 When only the best pneumatic assembly tools will do, Cleco is the manufacturer to trust. Cleco air tools offer unbeatable performance in assembly applications, enabling users to perform jobs quickly and reliably. If you have a business in Kansas City, Wichita, Dallas, Fort Worth, or another surrounding city and you want to purchase Cleco air tools, then turn to Wm. F. Hurst Co., LLC, a trusted industrial supply distributor that has served businesses throughout the Midwest since 1962. At Wm. F. Hurst, we do more than just sell these industrial air tools. We pride ourselves on providing an unmatched level of customer support to our customers. With in-depth knowledge of the products we offer and their applications, we have the expertise to assess our customers’ operations and provide recommendations that will enable them to improve processes. Contact Wm. F. Hurst today if you would like to purchase Cleco tools, and feel free to inquire about the other industrial supplies we offer, including other industrial tools from top-rated manufacturers, abrasives, metalworking fluids, and safety equipment. We serve businesses in cities throughout the Midwest, including Kansas City, Wichita, Dallas, Fort Worth, Columbia, Joplin, and Springfield.